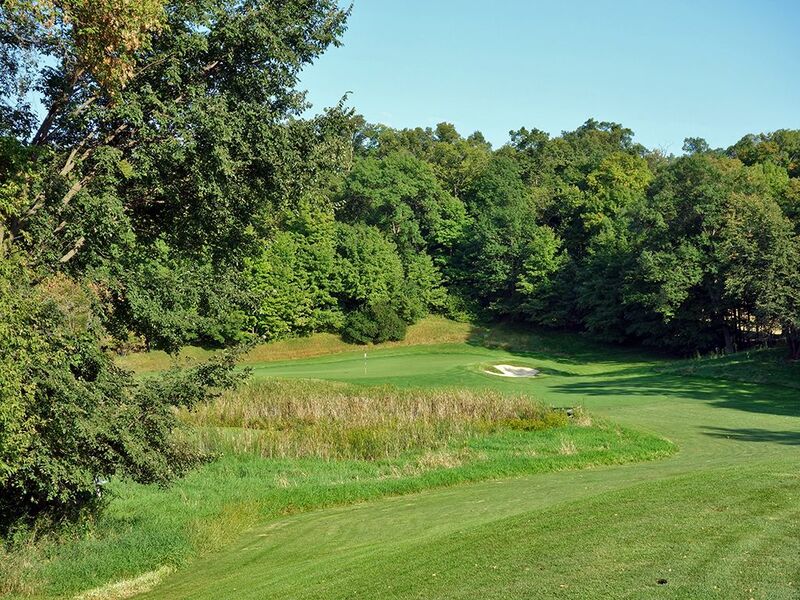 Course Website: Official Website - Visit Spring Hill Golf Club's official website by clicking on the link provided. 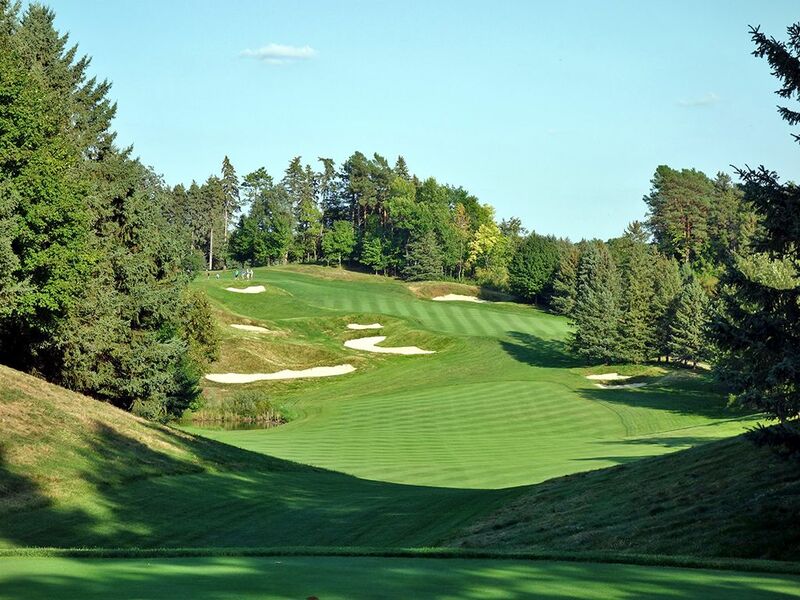 Accolades: Ranked 1st in Minnesota on Golf Course Gurus' Best in State list. 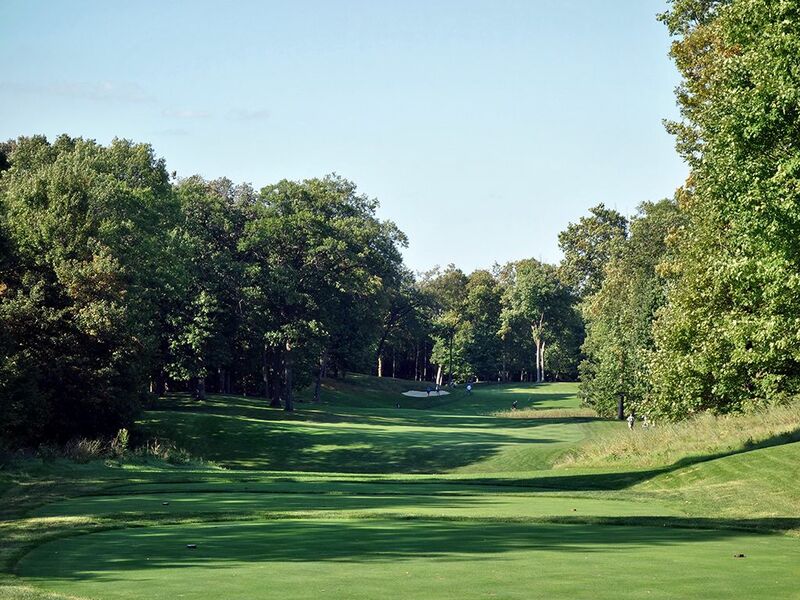 What to Expect: Located 20 minutes west of Minneapolis lies the state’s finest course, Spring Hill. 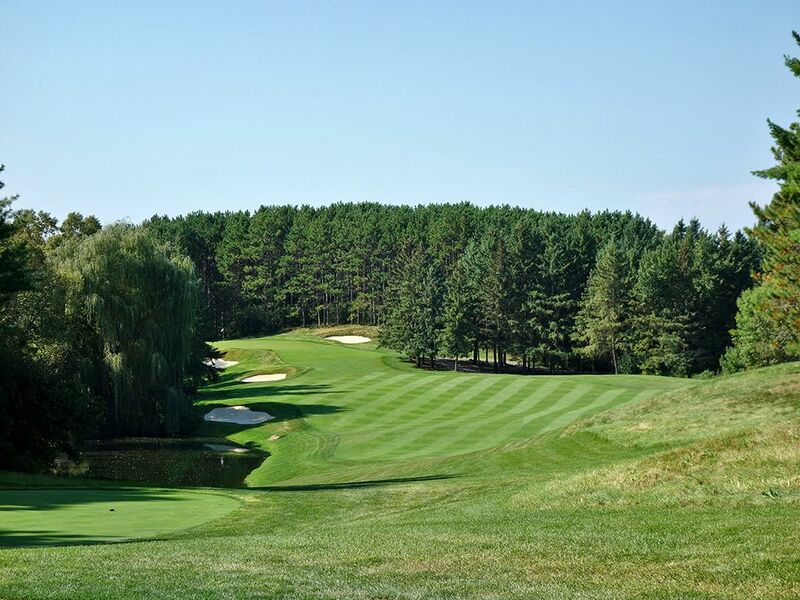 A Tom Fazio gem, Spring Hill features excellent variety throughout the routing with a wide range of hole lengths, shapes, and elevations which gives the course great appeal each time around. 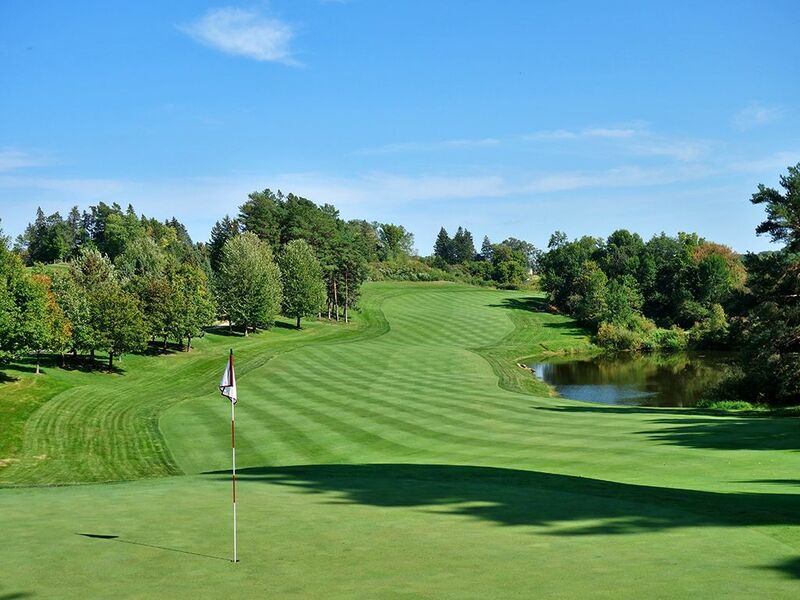 Few architects are able to give as compelling of a golf experience as Fazio is able to and his creativity combined with the variety he offers is a big reason why. From the moment you stand on the first tee you can tell that elite conditioning is a priority at the course where it is difficult to find a blade of grass out of place. Some of what keeps the course in such great shape is the low number of annual rounds; something that keeps pace of play plenty quick. Spring Hill honors the roots of the game by having players walk and take a caddie with them on their loop around the course which is helpful considering how much elevation changes occur throughout the property. 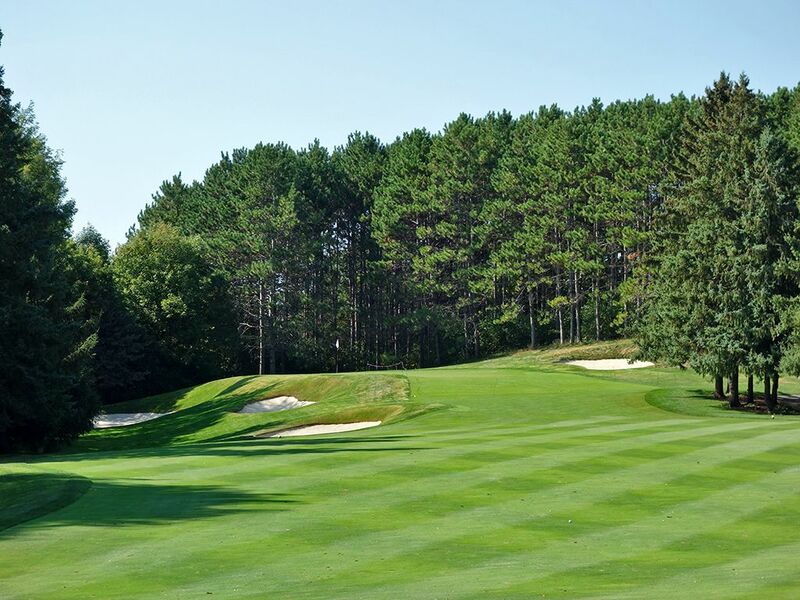 Most of the holes are tree lined and the course could benefit from thinning some of them out, but when you are in Minnesota you don’t exactly plan on playing in anything other than the woods. While there are a couple of holes that feel tighter than they need too, Fazio always does a good job of offering a fair amount of width to play within. The collection of par fives stand out at Spring Hill with the 16th being all-world and reminiscent of the famed 4th hole at Bethpage Black. 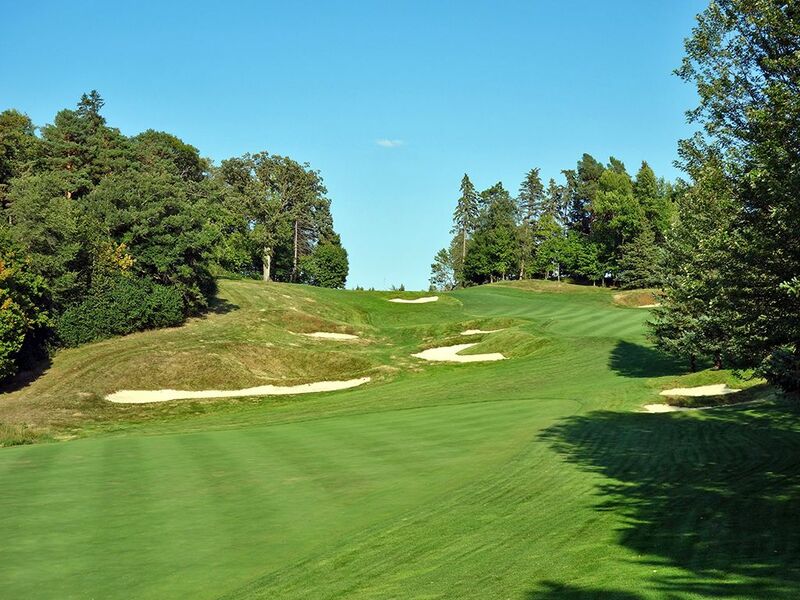 Bottom line, Spring Hill is a fantastic course and a must play if ever given the opportunity; it is certainly one of Fazio’s upper echelon courses. Signature Hole: 16th Hole – 508 Yard Par 5 – When I think about Spring Hill, the visual I instantly get in my head is the view from the 16th tee. 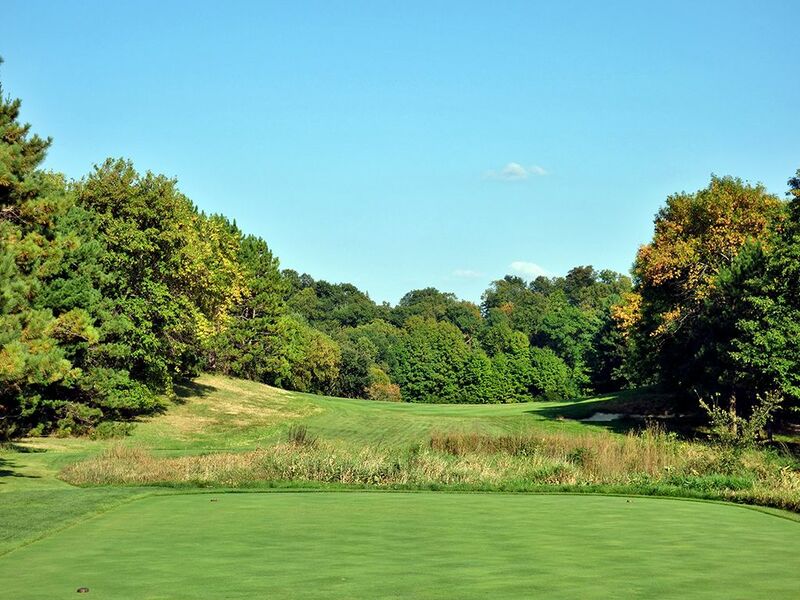 The parallels to the famous 4th hole at Bethpage Black are natural from the shape, to the length, to the bunkering, and to the ascension to the green; it is hard to imagine Fazio wasn't inspired by Tillinghast's best par five. 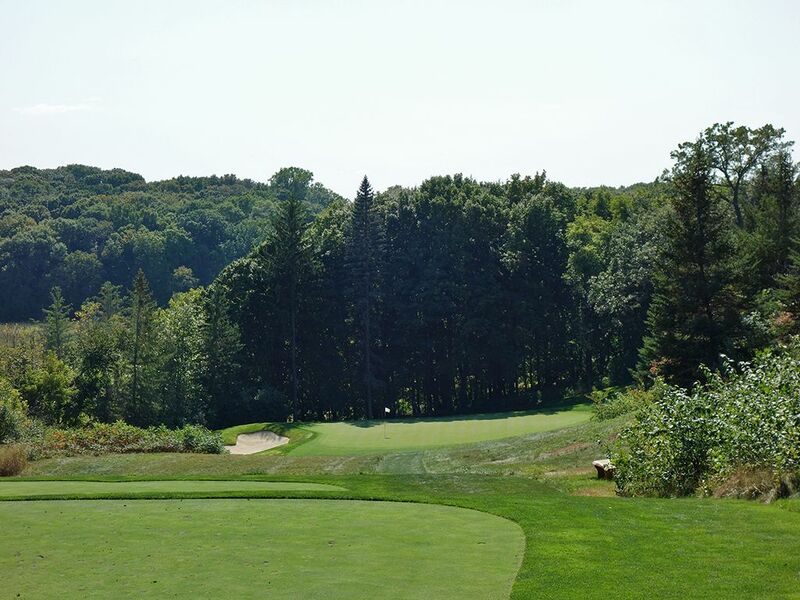 The tee shot initially descends 40 feet before requires players to climb 60 feet enroute to the perched greensite where the putting surface is out of view for much of the climb. While tee shots up the left side will provide the shortest route to the green, a pond awaits long drives that cheat the left side too much. Ultimately though, any decent drive will give players an opportunity to reach the green in two, likely with an iron, so long as they can put enough lift on the ball to compensate for the serious climb to the putting surface. Four bunkers and a waste area protect the hole if players take the short route up the left side while plenty of fairway and much less trouble is found up the longer right side. It sounds cliche, but this hole can yield an eagle as easy as a double bogey and what isn't fun about that? 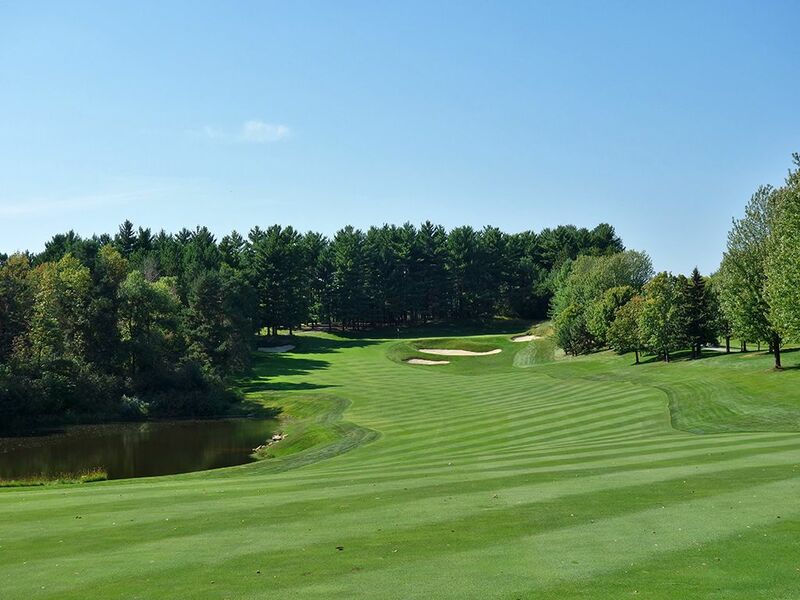 Best Par 3: 4th Hole – 192 Yards – You can take a full club less than the yardage shows on scorecard to attack this green since a large drop greets you on the tee box. A deep bunker flanks the left side of the bunker but only a fool would go that way since the sloped right side will kick balls generously onto the putting surface. Even balls that veer far enough right to be out of view upon landing still has a fair chance to work its way onto the green and set up a birdie chance. If you land your tee shot on the green, expect about 10-12 feet of roll to the left and ideally leave yourself an uphill putt if you want to roll the rock with some confidence. Best Par 4: 12th Hole – 455 Yards – As impressive as the downhill tee shot is on the par four 14th with its accompanying views, the 12th takes the cake as the featured two-shotter at Spring Hill. Hitting a tee shot over 275 yards from the back tee will shrink the fairway in half with a marsh area coming into play on the right side. The prudent play, though not required, is to dial it back and hit no more than a 250 yard drive that allows for the most amount of fairway to work with and a flat landing to hit your approach from. 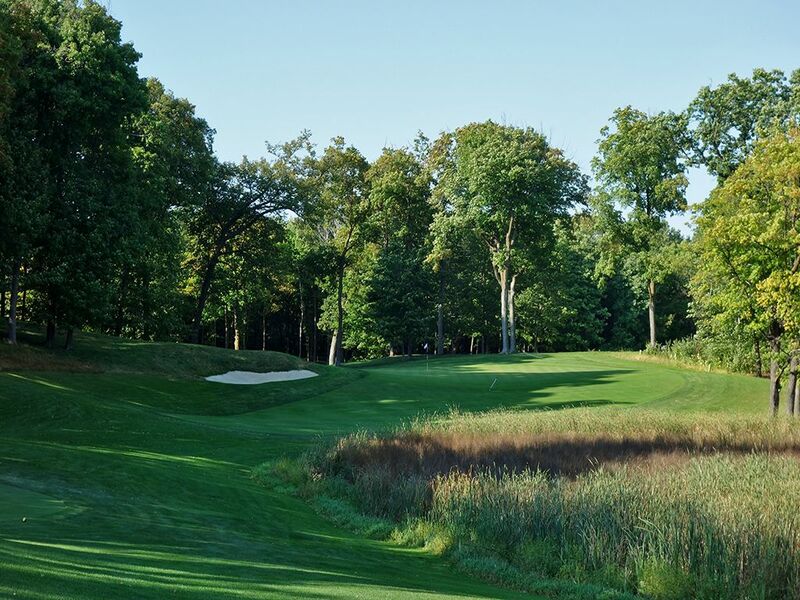 As the fairway works around the marsh area the fairway tightens to less than 15 yards and slopes to the hazard which effectively requires players to fly their approach over the bunker guarding the front left corner of the green in an effort to land on the putting surface. How much you want to press on the tee shot and approach shot is much of the brilliance of this hole, especially with enough length where playing with discipline can be tough to convince yourself of. 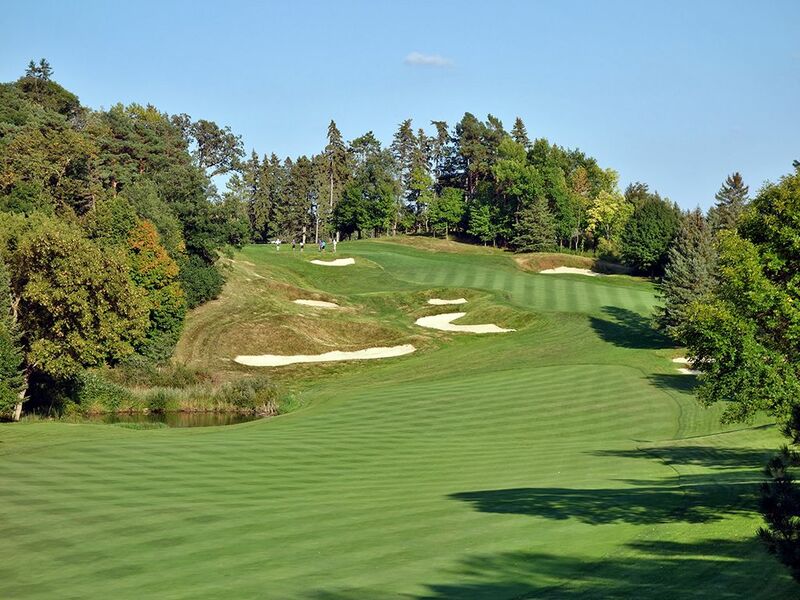 Best Par 5: 3rd Hole – 540 Yards – The engaging 5th hole is more than meets the eye when you first step onto the tee box. With an obstructed view of the landing area, players don't realize how much room they have to the right to work with but if you can land on the right half of the fairway you'll find a speed slot that can generate an extra 40 yards of roll. From the forward tee boxes you have to be concerned with the pond flanking the left side of the fairway starting 225 yards from the green, especially with how steep the fairway slopes from right to left. The approach shot calls for a towering fade as it ascends the 30 foot climb to the greensite which is heavily protected on the right but hosts a generous opening in from the left. Laying up short leaves players with a testy uphill shot to a green where the whole putting surface won't be in view. This is just a solid par five with so many scenarios that can play out each loop around. The 3rd hole is good in its own right featuring a 25 foot climb to a green flanked by bunkers on the left and a chipping area on the right. Birdie Time: 6th Hole – 343 Yard Par 4 – From the tee this hole looks so much further than 343 yards, but trust the numbers you are given and take advantage of this hole. The left side is bordered by a pond but that should only come into play for golfers afraid to use their driver. There is plenty of fairway width to work with up until the final 45 yards, so pull out the big dog and put a good move on your ball down the fairway. Extra long hitters could go straight at the green which is level with the back tee box, but you better be able to carry the ball 320 yards to find success with that play. The fairway tilts from right to left and the green opens up best from the right, so the best play is driver up the right side as far as you can take it and then a short pitch into the green before you roll in a putt for bird. 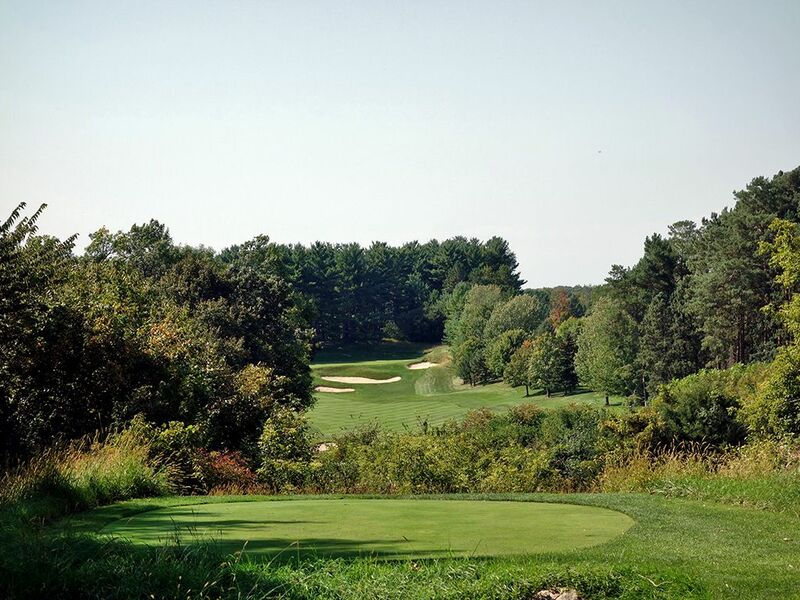 Bogey Beware: 14th Hole – 455 Yard Par 4 – The 14th features a tough tee shot and an even more difficult approach. 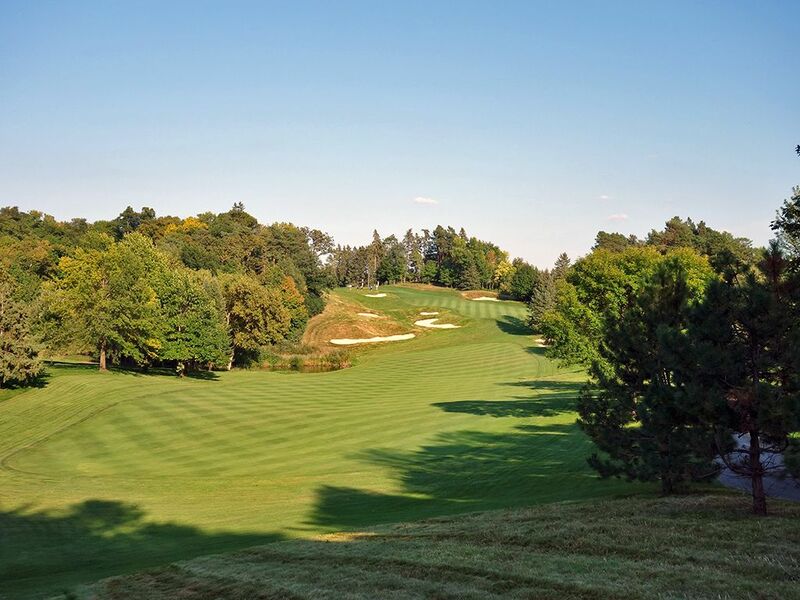 Much of the driving zone isn't in view as the fairway drops out of view 250 yards from the back tee, which is unnerving enough, but as the fairway slopes downhill it quickly shrinks to half of its original width. 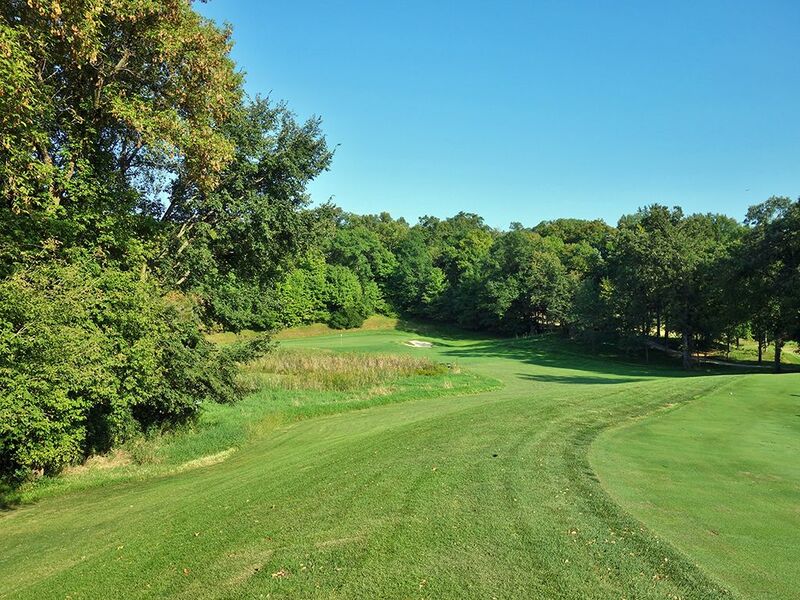 A pond comes into play and engulfs the former left side of the fairway and continuing to cause concern all the way to the green where shots that get pulled will be lost forever. If you catch yourself on a dreaded downhill lie you'll have to try to be accurate enough to avoid the trio of bunkers defending the green while picking the right spot to land your ball on the right to left and back to front sloping putting surface. Downhill putts are devilishly quick and bogies are handed out freely on this tough two-shotter.